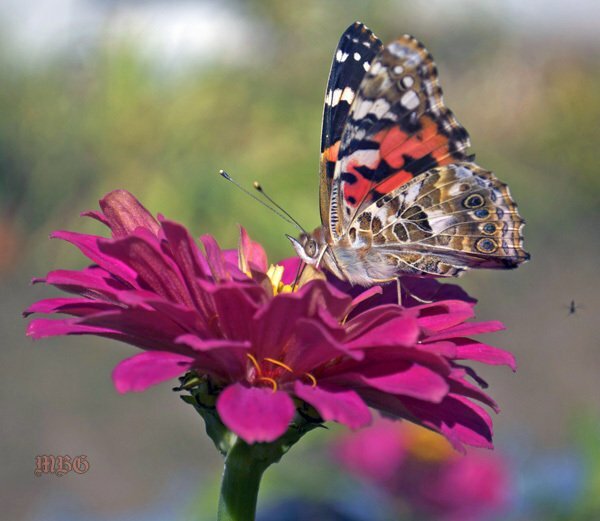 Zinnia flowers are a must-plant annual for the butterfly garden and a favorite flower of monarchs, swallowtails, and those hyper-winged hummingbirds. Dwarf varieties usually attract less butterflies. Could it be height? Nectar Content? I’ve had success attracting swallowtails and red admirals with one variety I’ll reveal below. 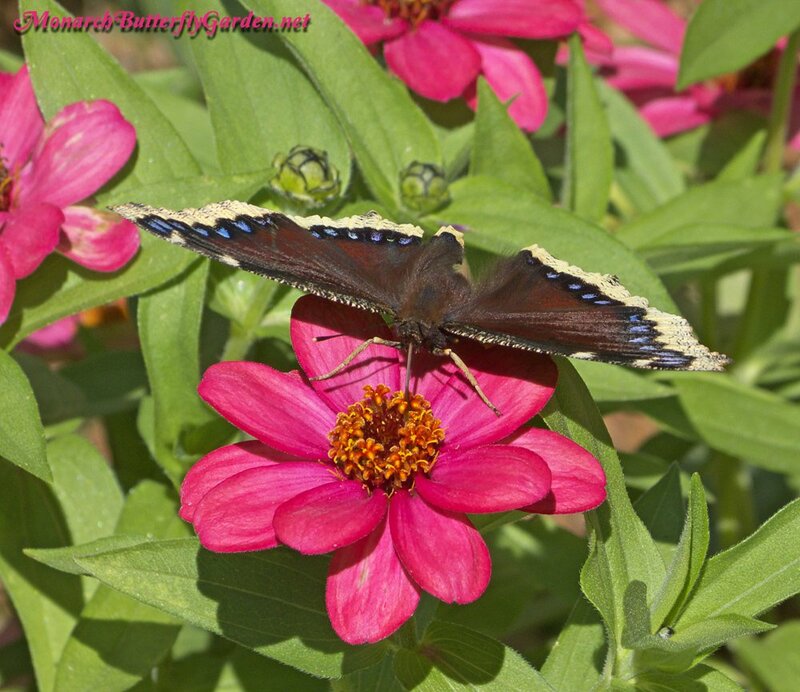 While shorter zinnia species do attract some butterflies, using them as a border for larger zinnias makes more sense than a stand-alone patch. 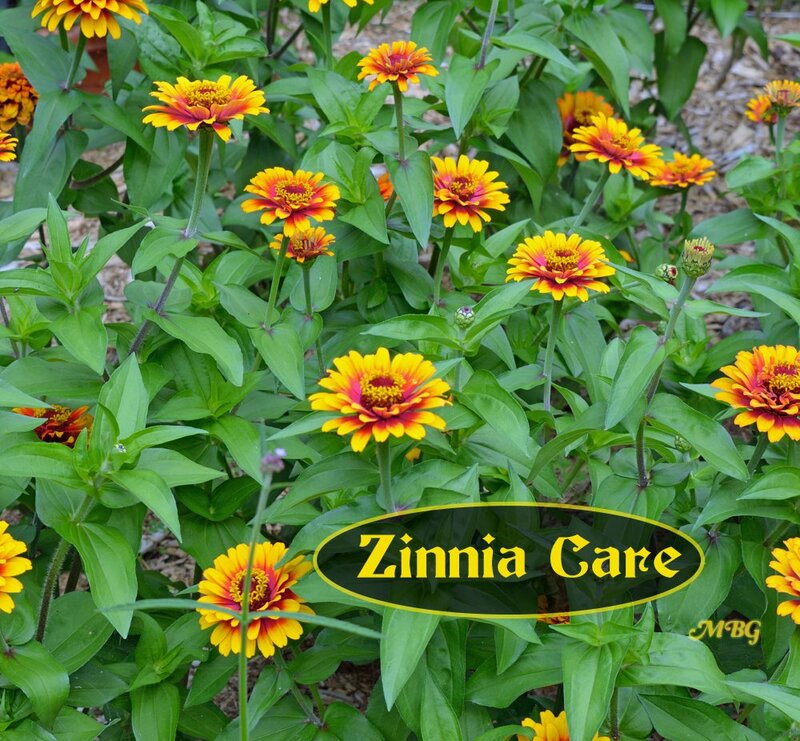 Most zinnia species come in a wide assortment of colors and can be purchased as a mix or a particular color. Click each orange link below if you’re interested in buying seeds or plants. Perhaps the ‘beauty queen’ of the group, this zinnia boasts an explosion of yellow, red-orange, and passionate pink toward the middle. This variety is a bit shorter than other tall varieties topping out at around three feet. This means you’ll likely never have to stake a zowie plant in your butterfly garden. If you get zowie seeds, buy from reliable seed vendors (and not home gardeners) because this will hybridize with other zinnia varieties. This should not be confused with the undersized, smaller flowering ‘state fair mix’. The tall variety grows to 4 feet and boasts big 5-6″ blooms. This is our first year getting the ‘tall’ variety and the difference is astonishing. Large dahlia-like blooms have been the favorite zinnia in our butterfly garden over the past two seasons. I replaced them with the tall state fair blooms this season to see if they can match its butterfly-attracting performance. I had never tried these before, because of their “double-bloom” description. A few season’s back, I was amazed by their beauty when I saw them at a church garden. I also saw a painted lady sipping lots of nectar from them. I examined the blooms and saw that the nectar looked accessible. I’ve been growing them ever since, and the butterflies keep coming back for more! If ‘zowie’ is the beauty queen for color, ‘benary’s’ takes the crown for its flawless form. This is another variety I’m taking a break from this season, but it has always been popular with the butterflies. Last season I tried to plant them between the California zinnias, but the drought was not kind to our zinnia patch. I will definitely reintroduce them to a future garden and hope for more agreeable weather. ‘Come & Cut’ has smaller, less showy flowers but they’re still a nice addition to the butterfly garden. If you want something with more curb appeal try one of the other varieties above. These dwarf zinnias also come in a rainbow of colors. They are adored by swallowtails and red admirals, and they also attract other beneficial pollinators in the garden. You could try profusion zinnia flowers as a border for larger varieties, but they also work well in containers and raised beds. 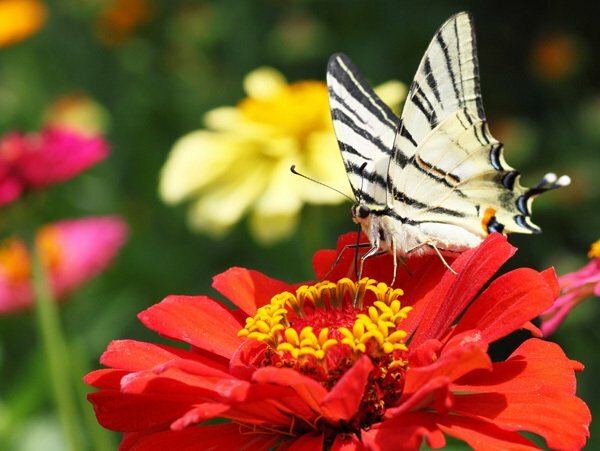 Which zinnias attract the most butterflies in your garden? Which zinnia flower do you like best? Please share your comments below and help a gardener out! Hi and thank you for the article. It looks like the names of the zinnias (except Zowie) have been removed from the headings of each paragraph. Some I can figure out but some not. Would be great if you can update the page. Thanks! So far 3 of the 12 chrysalis I have produced butterflies with OE. There still are 3 chrysalis hanging. Should I remove them from my enclosure to protect them from potential infection? One butterfly emerged today and seems to be fine. Hi Judy, monarchs are infected with OE parasites during the larval stage when they eat spores off the milkweed. 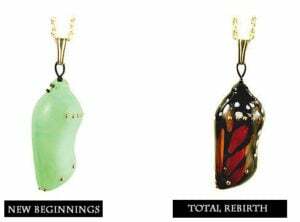 They can’t become infected during the chrysalis stage. Tony, your emails are such a help! Re Zinnias: do you pinch yours back when young? Seems to me that this would prevent them from becoming too “leggy”. Have you ever done this? Re Milkweed plants, I have found a great site: Santa Rosa Gardens in Florida. 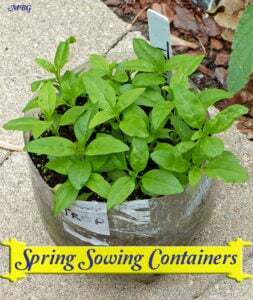 They are butterfly and bee friendly when raising their plants. I have ordered for 3 years. Plants arrive individually wrapped, are big, and are often in bloom! This past year, they began offering milkweed (not a huge selection) as smaller plants in trays. Maybe 72? The few plants I ever received that were diseased, they replaced immediately. I know this sounds like a commercial, but I am in the boondocks and have to do all of my shopping online. I actually just ordered some butterfly bushes form Santa Rosa and they look fantastic and are already blooming…I second your suggestion! Tony I seem to be having problems getting monarch butterflys to come to my yard. Last year I had quite a few but so far this year nothing. 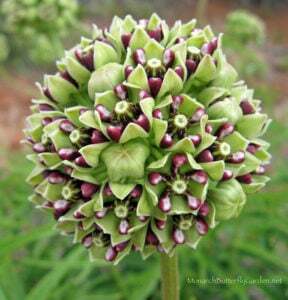 I have several milkweeds planted in my garden along with some in pots. I have an assortment of blooming flowers. I live in Southern California and others in my area are not having the same problem. What can I do? I also can’t find the Mexican Sunflower anywhere. Thanks for any help you can give me. Hi Debra, it’s hard to say what’s keeping them away but it sounds like you’re doing what you need to do. I’m not sure what butterfly plants you have currently, but try checking out some of these options to see if they might be a good fit for your region. I too live in So. Cal and have less Monarchs thus year. I’ve raised around 30 so far, but had more last year. I’ve lots if milkweed, 5 different kinds. The females are laying eggs, but I’m not seeing caterpillars. Don’t know why. This article has given me an idea for what to plant in the narrow strip in front of my picket fence. I was hoping to find an intermediate-height option that would bring in the butterflies and it looks like this might be just right for our sunny location! Erica, I’m happy I could help. Good luck with your garden this season! Last year I did an area of about 200 sq. ft. in Zahara zinnias and they were terrific as were the Arabona celosia. Florida humidity, heat and firehose rainstorms, nothing stopped them. Marigolds & Cosmos got beat to pieces. Had some luck with Benary Giant Zinnias. Was reading your comments about “tall” State Fair Zinnias and how different they were from the readily available ones so I looked for them. Seeds for this taller strain seem unavailable except for one greenhouse as plants. Can you tell me the source for the taller State Fair Zinnias so I can try them out please? Thanks for your help. I mixed a big section of my vegetable garden with flowers, especially many varieties of zinnias. Loads of butterflies still…but the big surprise was how much the butterflies (especially monarchs) love my stevia plants now that they have lots of tiny blossoms. Those blooms and leaves are sooo sweet! 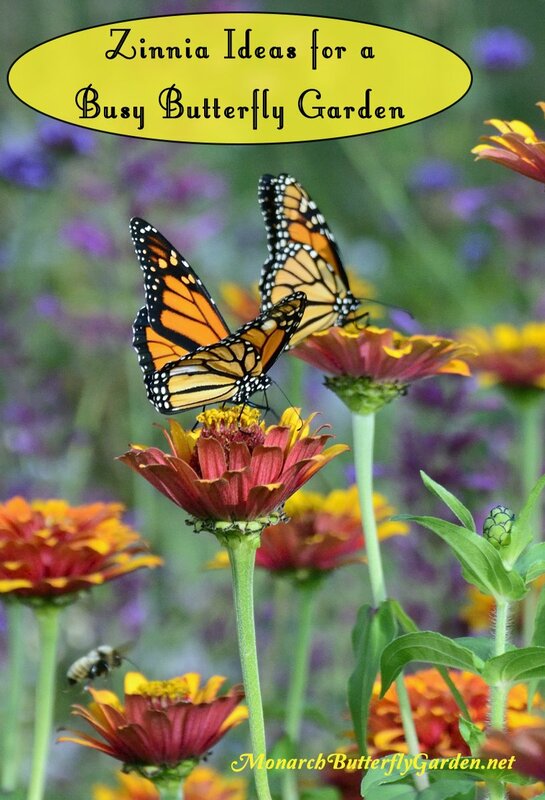 Hi Kim, it’s always exciting when monarchs nectar from plants you don’t expect…glad to hear you are having so much success with your zinnias too! I found 3 eggs on a swamp milkweed plant in North East Arkansas. All three emerged but shortly only one was left. Did this one eat the others? I didn’t see any dead caterpillars though they were extremely small at time. 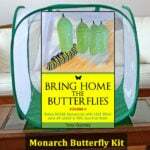 Hi Linda, monarchs have a long list of predators including spiders, ants, stink bugs, and more. It’s estimated only 1-5% survive outdoors.In order to boost those odds I raise some indoors each season. We’ve been away on vacation for two weeks, but I was pleased to see that our garden was still doing well on our return (thanks to some well timed rains) and I had the joy of hosting several nectaring Monarchs today. 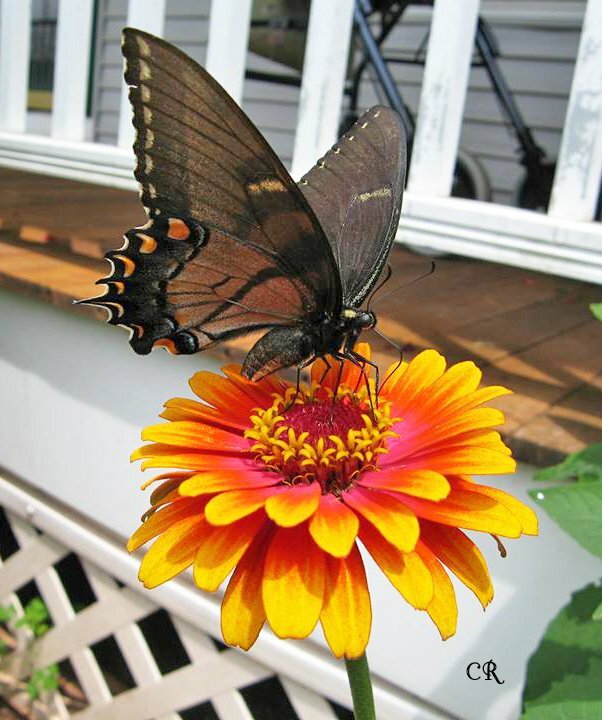 My favorite zinnia for butterflies is Profusion. I planted a few last year and they reseeded all over the garden this year. The butterflies and bees adore them. I just was out collecting milkweed seeds and had 10 monarchs in my garden! Thank you for the zinnia info and Kai, thank you for the hint of using johnny’s. I have something very exciting to share. I have raised over 100 Monarchs since April. I have 7 in chrysalis and should enter the world in a few days. It’s been a great year here in Central Florida. I was out checking my milkweed plants and trying to decide whether I should cut them to the ground because of all the talk about “Don’t feed them Tropical Milkweed in Florida or they won’t migrate. To my amazement, I was finding eggs all over the place. I had seen a Monarch or 2 in the garden a week before but didn’t think she’d be laying eggs. Of course, I gathered them all up and brought them inside. After about a week I started to see the cats come alive! As the days went by and they started to get bigger, I noticed very ODD about my CATS…… At first I was horrified by what I was seeing. My Cats had 3 sets of anntenas.. I couldn’t believe it. I thought OMG, these are some kind of evil new pests. But they looked so much like Monarch Cats.. I decided to go look up “Butterflies with 3 sets of anntennas and low and behold I found that I was now raising QUEEN BUTTERFLIES……. Lots and Lots of them. They do resemble Monarchs but they are a bit smaller. I cannot wait to see them grow bigger and to see their Pupas. I don’t know where they came from as I’ve never seen them before but I am very excited that they came to me to take care of them. I am almost out of milkweed and there is no more to be had around to purchase so I am hoping for the best that these all make it . How exciting Kathy…I’ve never seen a Queen up north. It’s always exciting when you have “first contact” with a new butterfly. Good luck with raising them! Years ago my husband’s uncle gave us seeds for some tall mixed zinnias. I collect the seeds each fall and scatter them in a patch each May. Butterflies and bees love them. You are suggesting buying seeds from a reputable source. Why is the link at your Zowie picture, taking me to eBay?? Hi Karen, there are lots of reputable vendors that sell on eBay. My point is to look at feedback ratings and also vendors that specialize in selling plants/seeds. I (and many others) have bought plants/seeds on eBay with great results. One of the benefits of a marketplace like eBay is the endless variety that is hard to find with just one vendor. Of the 5 zinnias you have listed here, I am growing the Benary and Tall State Fair red. These are still going strong in western MD & the butterflies love them. However, my butterfly, especially monarchs, magnets this year have been Tithonia (Mexican sunflower) & Tall Ironweed. I’m working on getting my yard (1 acre)certified as a Monarch Way Station. I am growing 4 different milkweeds including common, swamp, butterfly & tropical. I’ll be starting seeds indoors in late winter. I’d like to grow some other varieties. Hi Karen, we have had great success with tithonia too. I have heard good things about Tall Ironweed (Vernonia altissima) but have yet to try it…on the list for 2015! I am happy to hear you find find the info here helpful. 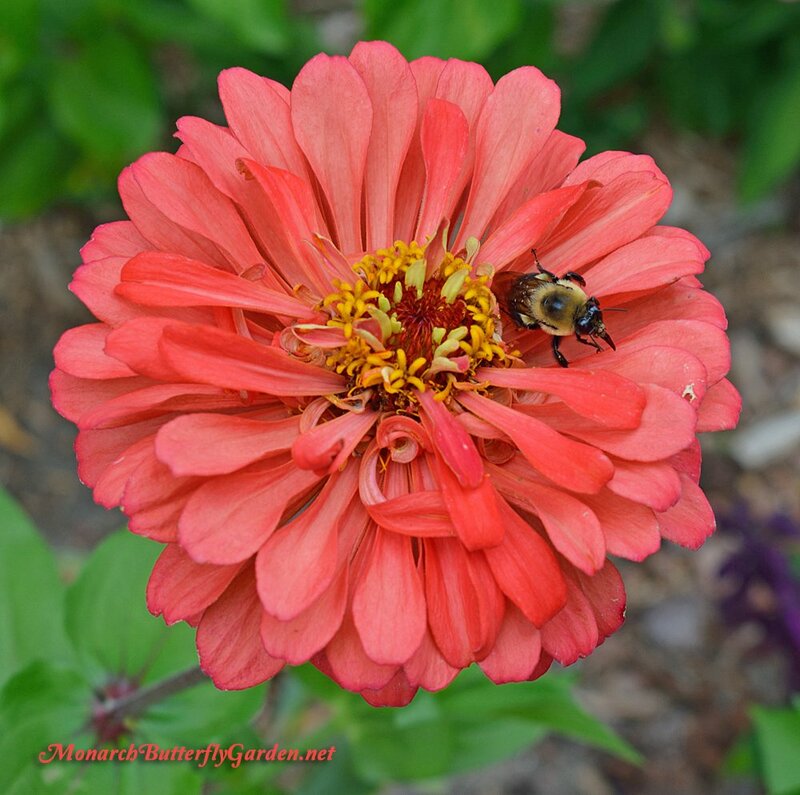 Thanks for giving some insight into zinnia popularity amongst pollinators. There is variation in the nectar content of Zowie Flames, presumably because they’re hybrids. The ones I got for several years never attracted pollinators. I switched to Johnny’s Selected Seeds, and, wow what a difference! The pollinators and I were much happier last summer. Hi Kai, thanks for sharing your resource! Zowie seeds must be purchased through a reliable seed vendor because the flowers won’t “come true” from seeds gathered in a garden. ‘Swizzle Scarlet and Yellow’ is a dwarf variety that closely resembles zowie yellow flame. Off hand, I can’t recall if it attracted many butterflies.